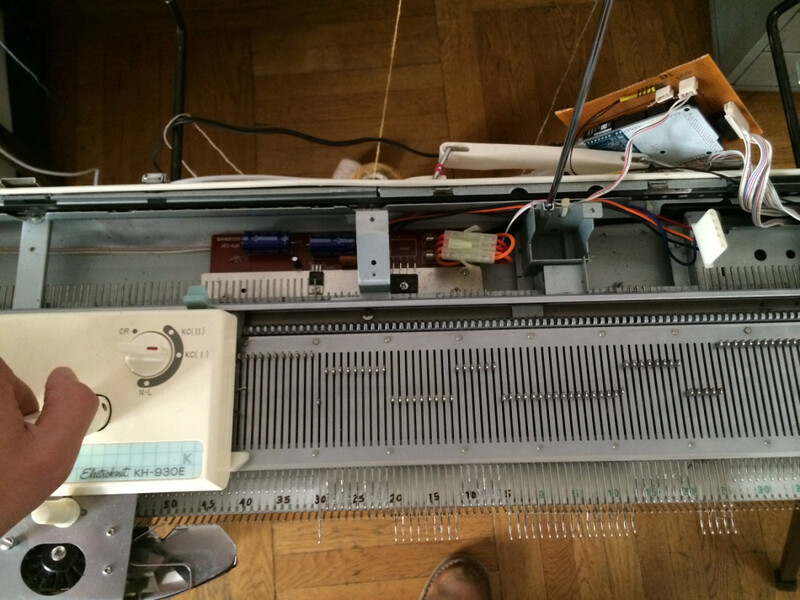 We started with a Brother KH-930E electronic knitting machine. It has its own processor for setting the needles right to produce a programmed pattern. Unfortunately it can only be programmed pixel per pixel manually or with a floppy drive as source. 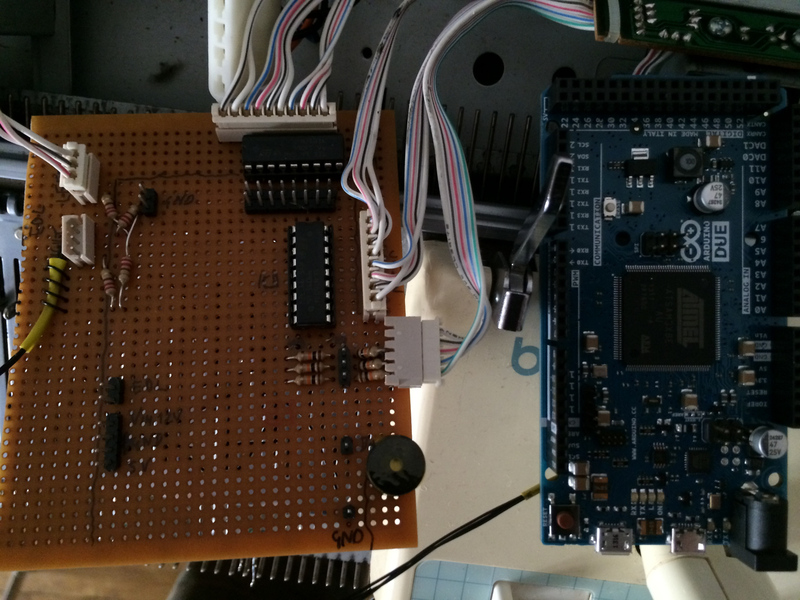 So we followed the Knitic Project and started with an Arduino Due replacing its own processor. We rebuilt their PCB on a Perfboard, be careful though, the headers on their (old) PCB picture may be wrong. 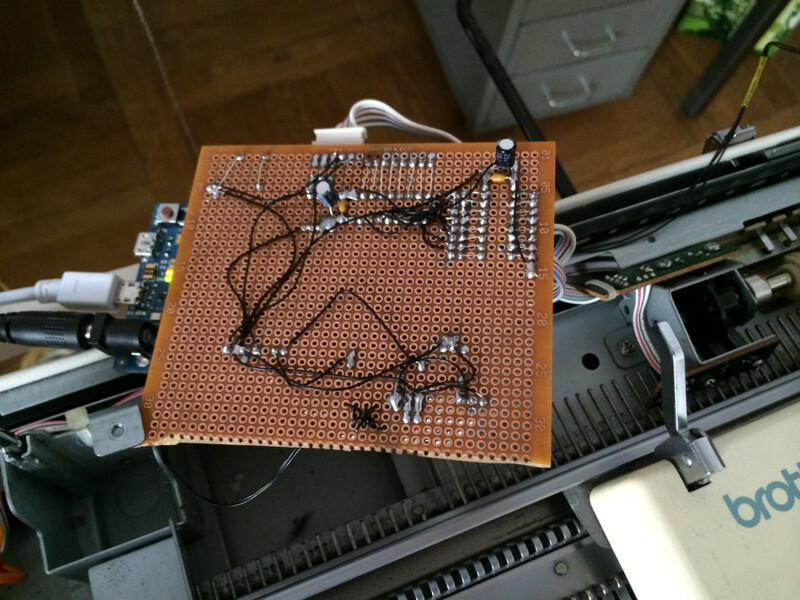 We had to resolder some of them and had to rearrange the solenoid positions in software. Check out the service manual for the right pin-connections. A 12V 2A power supply was used to power the solenoids, so we don’t need the machines power supply. Software wise, we had the best success with So Kannos software, be careful for the right branch. We used the “KnitHack-CK-35_and_KH900” branch and the “CK35controller” software. After setting the ports right and some improvements the magic was done. 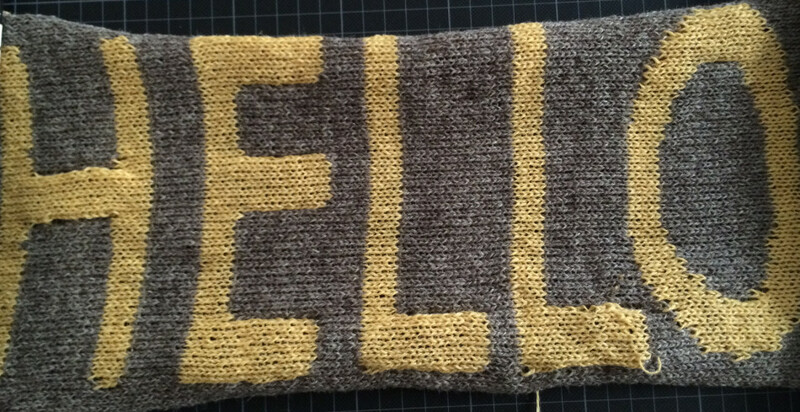 All ready to experiment with knitted electronic components.